Events in your life may leave you without health insurance. Then you may find the need for temporary health insurance. Maintaining insurance coverage for your health can be expensive. Temporary health insurance is designed to provide medical coverage between employers provided health insurance policies. Such short term policies are typically obtained to prevent lapses in medical coverage. 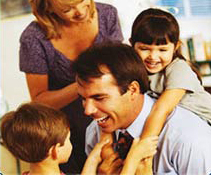 Short term health insurance policies can be customized in many cases to meet individual or family needs. While this can greatly reduce monthly health insurance premiums, benefits also can be greatly reduced. A variety of temporary health insurance policies can be purchased. These policies include HMO, PPO, POS, PPO, managed care, and fee for service plans. Choosing which plan will best suite your medical needs is entirely dependent on your situation and monthly budget. When considering which health insurance policy to obtain, you should consider your budget. Employer based health insurance systems are collapsing, and there is the possibility that a new employer may not provide coverage. Temporary health may have to last for nine to twelve months at a minimum before you obtain employer based health insurance.